Pictured Above: Jared Kushner, the senior adviser to U.S. President Donald Trump, sits in on a meeting with Marine Corps Gen. Joseph F. Dunford Jr., chairman of the Joint Chiefs of Staff, at the Ministry of Defense in Baghdad, Iraq, on April 3, 2017. Credit: Dominique A. Pineiro/U.S. Department of Defense. 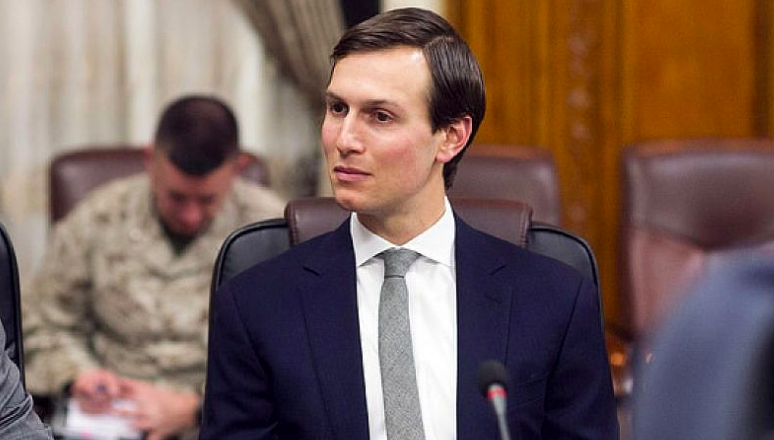 (JNS) White House senior adviser Jared Kushner will reportedly give an update on the Trump administration’s peace proposal between the Israelis and the Palestinians at next week’s Warsaw conference on the Middle East. A White House official told Axios that Kushner, also the president’s son-in-law, will be part of a discussion at the conference on Feb. 13-14, hosted by former Norwegian Foreign Minister Børge Brende regarding attempts to end the conflict. U.S. Secretary of State Mike Pompeo, who is expected to be at the event, said the peace plan will be released after the April 9 Israeli elections. Also scheduled to be in attendance in Warsaw are U.S. Vice President Mike Pence; Israeli Prime Minister Benjamin Netanyahu; and the foreign ministers of Saudi Arabia, Jordan, the United Arab Emirates, Oman and Bahrain.